SAN DIEGO — America’s finest craft beer community had a thriving 2017. To drive awareness for the importance of independently owned beer, the San Diego Brewers Guild (SDBG) executed various educational initiatives, which included revamping sdbeer.com and launching a research partnership with the College of Business Administration at California State University San Marcos. Enter 2018: the nonprofit organization dedicated to supporting San Diego’s more than 130 independent craft breweries is pleased to announce its president and leadership team as well as preview what’s in store for the current year. Annually, all incoming board of directors are voted in by SDBG brewery members, and officers are appointed by the previous year’s directors. The goal is to build a team that is representative of the varying brewery sizes and beer barrel production (i.e. 90 to 380,000+ barrels) found in San Diego. Paul Sangster, co-founder & brewmaster of Rip Current Brewing Company, will have a one-year term as president. Sangster, whose brewery produced 1,050 barrels of beer in 2016, is succeeding Jill Davidson from Pizza Port Brewing Co. as she transitions into the role of president emeritus. Vice President – Terry Little, Co-founder & CEO, Bear Roots Brewing Co. Secondary Vice President – Lee Doxtader, Co-founder, San Diego Brewing Co.
President Emeritus – Jill Davidson, Sr. Sales & Brand Development Manager, Pizza Port Brewing Co.
Dande Bagby, Owner & Director of Pub Operations, Bagby Beer Co.
Kris Anacleto, CEO, Booze Brothers Brewing Co.
Matt Zirpolo, President, Burgeon Beer Co.
Rachael Akin, Co-founder & Brand Czar, Benchmark Brewing Co.
Rick Chapman, Co-founder & President, Coronado Brewing Co.
Terry Little, Co-founder & CEO, Bear Roots Brewing Co. In 2017, the official website for the San Diego Brewers Guild, sdbeer.com, was redesigned to feature a more user-friendly interface that allows visitors an easy option for finding a brewery, beer event and simply learning more about the region’s craft beer offerings. Whether a resident or visiting tourist, guests are able to search San Diego breweries on the site by browsing the map or using a current location. New for 2018, more features will be added to sdbeer.com along with an iOS/Android mobile application (launching in Spring 2018) to further assist with easily navigating through and enjoying delicious beers from the Capital of Craft. Beer festival devotees can still look forward to SDBG’s popular annual events, including Rhythm & Brews (May 2018) and San Diego Beer Week (November 2-11, 2018). The organization’s highly attended festivals will continue showcasing an impressive array of craft beer offerings, which are to be served alongside new-and-improved elements added to this year’s celebrations. Additionally, last year, SDBG joined forces with California State University San Marcos’ College of Business Administration and developed the “Economic Impact of Craft Breweries in San Diego County.” The study found that the region’s craft brewers produced an impressive economic impact of $870 million in output and contributed more than $100 million in taxes in 2016. This research will be revisited and released in 2018, ultimately providing more current data and expanding to include other topics. Stay tuned for more information on 2018 events and educational initiatives, as full details will be shared later this year! For more information about the San Diego Brewers Guild, visit sdbeer.com or follow @SDBrewers on Twitter, Instagram and Facebook (facebook.com/SDBrewersGuild). 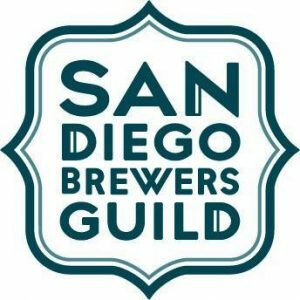 Founded in 1997 by a group of brewers dedicated to the growth of craft beer, the San Diego Brewers Guild is a nonprofit 501(c)(6) organization comprised of allied brewery members, tradespeople, and various goods and services providers. Since its founding, the Guild’s mission is to promote awareness of local, independently brewed beer via education, events and community involvement. San Diego (aka The ‘Capital of Craft’) is home to more than 130 independent craft breweries and continuously garners attention for its medal-winning beer styles and positive international reputation. For more information about the San Diego Brewers Guild and its members, visit sdbeer.com or follow @SDBrewers on Twitter, Instagram and Facebook (facebook.com/SDBrewersGuild).